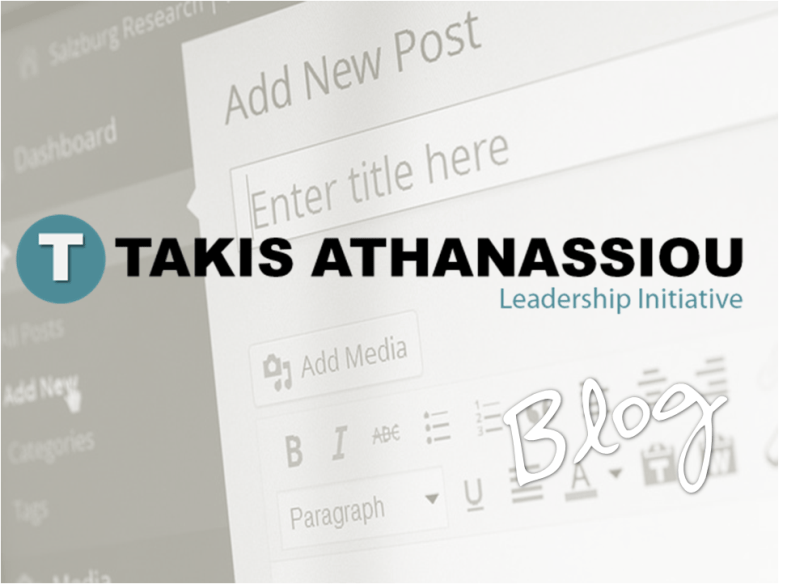 I decide the development of the “Takis Athanassiou | Leadership Initiative” blog, as main loci for ideas, tools, practices that could be easily implemented by everyone and streamlined in the everyday life in the form of principles, habits, tips, and hacks. Small, every day, changes in mainstream activities can bring a significant impact on the final outcome. Especially when these activities are intentional and directed towards goals, or even better when to follow general principle-based life strategies (see and: Kaizen, What is Kaizen? and Small Changes in Life, to name a few). Leadership is one of the rarest resources in need today, scarce but critical, aiming to transform, in a positive way the modern society and people. Today people face a lot of challenges that leave them in most cases out of balance, render them unable to cope with the situation at hand. The difference between the “I’m always ready” attitude against the “I cannot cope with it” situation is really a small but constant one activity that could read as “constant cultivation“. Cultivation of self, of relationships, of tools, of procedures. Every day, all the time. It means the negation and challenge of everyday comfortable concepts, the change of familiar mental paths and attitudes and in total the change of behavior. For these reasons the “Leadership Initiative“. Leadership Initiative, Without The Fuzz! (Leadership + Initiative) X (Networking + Propagation of new ideas, concepts, methodologies, tools) = Positive outcomes in personal and professional life (i.e. transformation first on a personal level and then to a social level). First and foremost this blog is a place that would collect my ideas and insights for Leadership, Productivity, and Effectiveness in Personal and Professional Life. At the same time may support and enhance similar efforts, providing context and content, in everyone might find any use in the ideas presented here. Question: Do you think, this Leadership Initiative Blog, would be useful to you? Do you think, that Leadership Initiative is a necessary resource, today? Do you believe that we need more Leadership Initiative(s) or less? You can leave a comment by clicking here.